Sofia Airport transfer. Cheap taxi hire from Sofia airport to your hotel or holiday villa. Door to door private transfers from Sofia at the price of shuttle service. 24/7 meet and great service, passenger insurance, professional driver's, no charge for flight delays, low Sofia transfer rates. 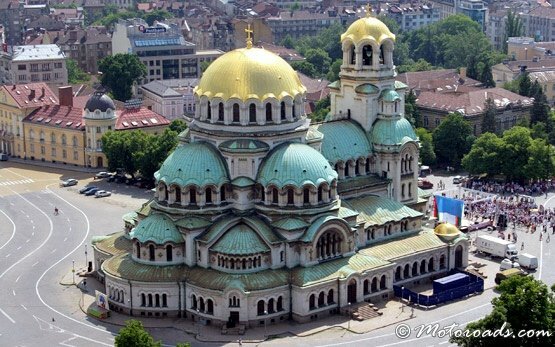 Get your discount coupon for taxi hire in Sofia. *Invalid name *Please fill-in the required fields. *Invalid email *Please fill-in the required fields. *Invalid phone. *Please fill-in the required fields. *Message is too short. *Please fill-in the required fields. "Sofia Airport Transfer" implements regular taxi services to/from Sofia and all towns and resorts in Bulgaria - Bansko, Borovets, Pamporovo, Rila Monastery, Veliko Tarnovo, Burgas, Varna, Sozopol, Lozenets, Sunny beach, Sofia, etc. "Sofia Airport Transfer" also serves the the neighboring countries Greece, Turkey, Romania, Serbia, Macedonia and provide transfer services from Sofia to Thessaloniki, Kavala, Halkidiki, Volos, Bucharest, Belgrade, Nis, Istanbul, Skopje, Ohrid, etc. Sofia transfer rates are TOTAL per vehicle, NOT per person ! Our courteous driver will meet you in Sofia or at the pick-up point with a name board. We monitor flight/bus/train delays in Sofia to insure prompt meet and great service. Our Sofia transfer rates are inclusive of driver hire, rental vehicle and fuel. We operate 24 hours a day and 7 days a week in Sofia with no exception.